Funded medical ultrasound training for US Army Civilian Professionals. US Army Civilians working in the VA or other federal facilities may apply for federal funding to support their ongoing professional development. Gulfcoast Ultrasound Institute is registered with the US government to provide medical ultrasound education and certification for qualified physicians and sonographers. 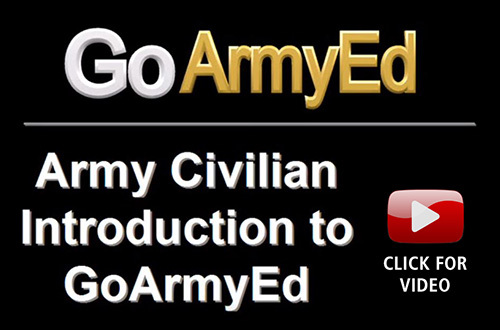 Click the GoArmyEd logo below to register with the GoArmyEd website. Once approved, Gulfcoast Ultrasound Institute is notified and we will contact you regarding your enrollment in the course you selected.